For the second time in a span of five days, John Hardin senior pitcher Olivia Greenwell had a tough outing. And for the second time in that same span, the opposing team took full advantage. The homestanding LaRue County Lady Hawks exploded for 12 runs in the first three innings and finished with 14 hits en route to a 13-6 win Monday night. 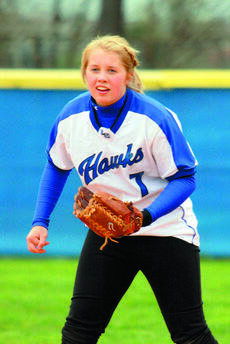 Freshman Bridgette Skaggs struck out nine batters April 12 as the Lady Hawks defeated Hart County 4-3. She didn’t walk a batter in the eight-inning game. Junior Megan Smith doubled to lead off the bottom of the eighth and scored the winning run on a dropped infield fly as the Lady Hawks (6-9 overall, 2-0 18th District) rallied by the Lady Raiders. 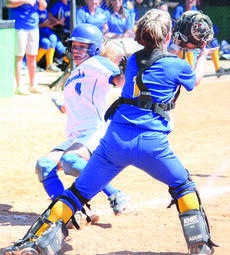 Senior Lyndsay Whitlock went 2-for-4, stole a base and scored, while senior Cassady Crim hit an RBI single. 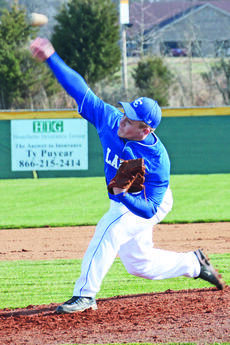 The LaRue County Baseball Team improved their record to 10-4 with an 8-4 victory over the North Hardin Trojans Monday, April 18. The Trojans record fell to 7-7 with the loss. 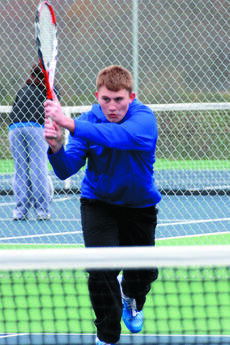 Ace Adcock, the brother of Kansas City Royals Nathan Adcock, is the Trojans’ Head Coach. Sophomore Cole Hughes got off to an extremely shaky start, giving up three runs on four hits sandwiched around an error in the first inning. After the first inning though, Hughes settled down, giving up only one run and three hits through six innings. The LaRue County High School track teams each finished third out of a field of five at the LaRue County All-Comers Meet April 12. Shana Zajdel took top honor in the girls’ triple jump and fifth in the 100-meter dash; Alisha Durbin won the 300-meter hurdles while Amarah Reed was first in the 1600-meter run and eighth in the 300-meter hurdles. 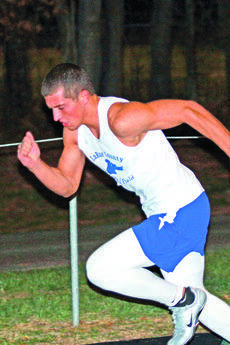 Cody Thompson won the 300-meter hurdles. The LaRue County High School Lady Hawks capped off the Florida Beach Bash at Fort Walton Beach April 8 with a 13-3 victory over Louisville Fairdale. 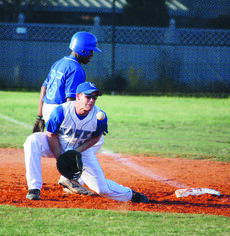 The LaRue County High School Hawks went 3-2 in last week’s Florida Beach Bash at Fort Walton Beach.